Remember that cool sub you had in elementary school? The one that made sub day feel like an in-school vacation? Well, now you can get on that level. We know that committing to something right out of college can get overwhelming. Why don’t you get your feet wet in the pool of education with this temp gig? If you love working with kids and want to teach without fully throwing yourself into a full-time position, substitute teaching gives you a good place to start. With advice from real life substitute teachers, we will show you how to take a classroom by storm. Here’s how to become a substitute teacher. • Fill in for fulltime teachers for a period of time when the fulltime teachers get sick, go on vacation or take a personal day. • Manage the classroom, keep everything organized and running smoothly for the teacher when they get back. • Take attendance and take notes on the occurrences of the day. Make sure students are on their best behavior. • Implement the lesson plan that the teacher gave them to make sure the students don’t get behind on their work. • Give instructions, collect papers and monitor the students as they do their work. • See the kids off at the end of the day and make sure that everything is in order for the teacher the next day. Wouldn’t it feel great to go back to your old middle school or high school and reminisce? Take teaching as giving back to the community. You have the opportunity to impact kids’ lives. Do it positively. “View substitute teaching Iike a job interview. If you’re a good sub, they’ll often hire you to be a teacher there. Good subs are hard to find honestly. They need to see themselves as support staff to help a school run smoothly,” Jones said. Substitute teaching gets your foot in the classroom door and might get your name on it one day. What does it take to become a substitute teacher? To become a substitute teacher, you need to check all the boxes, cross all the t’s and dot all the i’s, just like you’d teach elementary school kids to do. You need to do your research on the area that you want to work in. Each school district and each school has specific requirements that you need to meet in order to qualify for the job. You cannot simply wake up one day, walk into a school and rock the student’s socks off by being the best substitute teacher ever. Requirements vary by state and school districts. Make sure to research the specific school district you want to work in. At the very least, you’ll need a bachelor’s degree. Then you’ll need to pass the state examination for teaching in your state, pay a fee and have valid identification. Once you get the degree, the fee and the ID, you have different options for getting a teaching license. “There are two paths after graduation that you can take if you are interested in becoming a substitute teacher. First, this is the harder option: you can go straight from undergrad to another year in school to get your teaching credential. Option two, the easiest or shortest way, is to apply to the California Department of Education [or your state’s Department of Education] for an emergency permit,” Jones said. 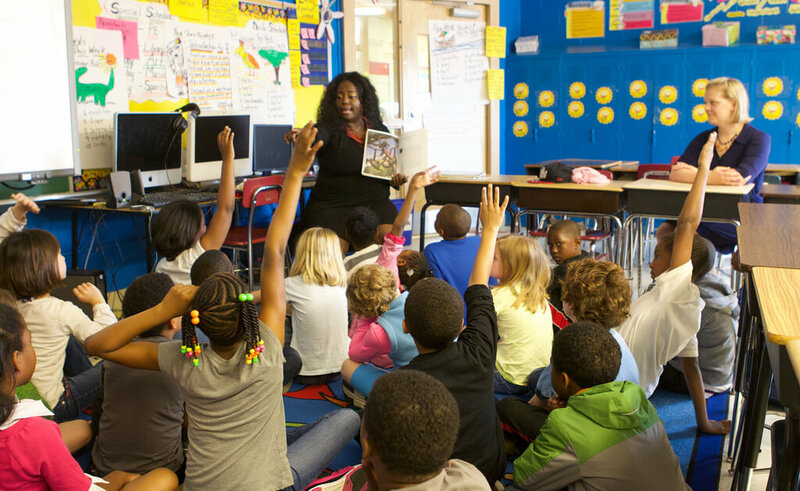 With thousands of teaching credential programs out there, you just need to choose the one that fits you best. The harder route: the credentials. To become a substitute teacher, you will need to get your education credential. To do so, you will have to apply to a 1-2 year program at a local university. Or you can enroll in a program like Teach for America or Urban Teachers. This kind of program will give you the education and experience that you need in just one to two years and you can be a full-time teacher in no time. But you need to pass all the tests. This process can be long and tedious but necessary to become a substitute and a full-time teacher. The easy route: An emergency permit will allow you to start substitute teaching without first getting a teaching credential. To obtain an emergency degree in California, you need to have a bachelor’s degree, pass the CBEST and get your fingerprints cleared before applying. Get ready to pay a fee that ranges between $30-50 bucks. “California is entering a teacher shortage—so now there are a lot of good jobs available to people, good opportunity for college students,” Jones said. For those who live in other regions of the USA, the process will differ. Each state and each district has different requirements and regulations, therefore, do a specific search for certain states and such. But, in general, prepare yourself to take a test and make sure you pass it before receiving the green light to go. 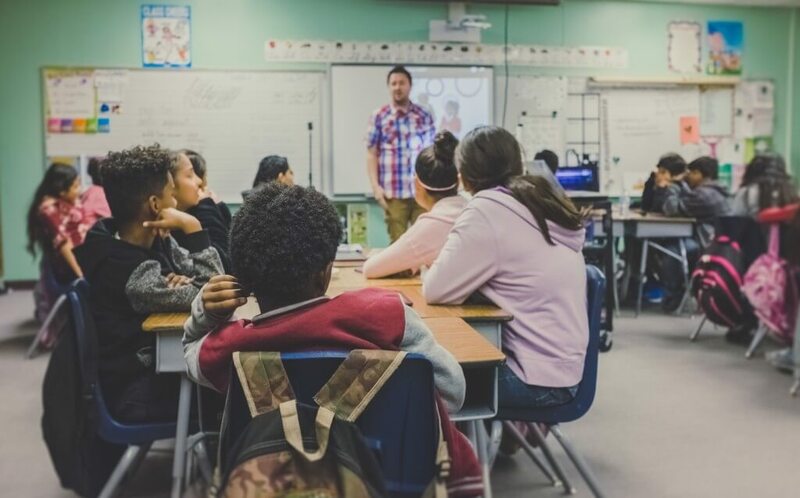 In some other states, like New York, to become a substitute teacher you only need a bachelor’s degree, English proficiency and the legal ability to work in the United States. No matter where you are in the US, schools need teachers and the process to become a teacher remains more or less the same. Aside from all the nitty gritty stuff, the best kind of education you can get is from teachers that you had and loved from the past. Follow in their footsteps. Make them proud. Biases do not exist when schools look for teachers. You can major in any subject whether education, English, math, or whatever–schools need teachers for every subject. What Should I Know About Being A Substitute Teacher? Some adults tell you to get a good paying job and get that next promotion; they tell you that life is all about the money. But, others (the smart ones) encourage you to do what you love. To be a substitute teacher, unfortunately your passion for what you do has to trump your passion for a big paycheck. The expected income for a substitute teacher averages at (assuming perfect weather, no snow days, vacation or holidays) $12,600. But, this number may get discounted depending on when teachers take days off. Your income won’t pay as high as a full-time teacher, but you will still get compensated for good work. As a substitute teacher, you can choose how many days a week you want to work. Don’t expect a regular 9 to 5 Monday through Friday kind of job. You still have to dress semiprofessional and bring your A-game each day. You will most likely work part-time so you won’t be too overrun by the end of the week, unless you get paired with a group of rowdy students. In that case, good luck. As a substitute teacher, you will have the unique experience to work with a different set of students, teachers and administrators every day. Think of it like a trial and error or even like you are trying on an outfit to see if it fits. You work on a need basis, so you never know when a school will call you in to a classroom for the day. The cool part about this? You can visit and experience different schools and classrooms. Your work environment varies on the school and the district that you are in. Maybe one day you sub at a fancy private school and then the next day you sub in a public school in the city. Teachers and students at each school will best indicate what your day as a sub will look like. The down side of being so mobile? You may not get to make lasting relationships with the students, unless it’s a class or a school that you visit often. 4. What do I need to know about the future of this profession? As long as kids go to school and human get sick, subs will have a place in schools. As far as one’s personal future as a substitute teacher goes, the longevity of their career comes down to finances. As a substitute teacher you can earn up to $250 per day. If that’s good enough for you, take that as a full-time position or you can use this as a learning experience for the time being. As a substitute working part time, you may want something else to fill up your time, that may mean another job or more school. Some principals and administration like a sub so much that they can get hired. Teaching can get difficult. Since you won’t have the status of a real teacher, the students may disrespect and disobey you. But with intense passion and perseverance, one day they’ll thank you on teacher appreciation day. Stick it out. “Teaching can be a challenging job –working with kids and being a substitute is a really good way to see if you like that position,” Jones said. No matter how challenging the job or the journey there, it will be worth it in the end. As a substitute teacher working with kids, you will need patience. Just go with the flow. To maintain control of a classroom of 18 wild third graders, you will have to be firm and strict so the kids don’t get too off task. But, of course, do it with love. As the most important skill, you must treat the students like thinkers. Don’t talk down or degrade students. Meet them halfway in their learning process. “Credential was helpful, but practice and student teaching was extremely helpful. Grad school was great! It is better to get experience teaching before grad school. The learning is more meaningful,” substitute teacher Elisabeth Jones said. “When choosing a career, you want to make sure that you know what you are doing. Subbing is a great way to do that,” said former substitute teacher and current special needs classroom aide Holly Robertson. “One of the benefits of subbing is relatively steady work with little responsibility,” said educator and former substitute teacher Melody Russell. “Full-time teachers carry the load of grades, lesson planning, parent interaction, meetings, etc. Substitutes come in, work a day or two and then walk away. No grade book, no real commitment. AND you can deny a job if you don’t want it or don’t like that school or grade level,” Russell said.